40 Norham Gardens is a vast, eccentric Victorian house whose rooms are filled with old paper, old clothes and antiquated furniture. The thoughts of people both past and present mingle together. A carved shield she finds in the attic, brought from New Guinea years ago, causes fourteen-year-old Clare disturbing dreams. The House in Norham Gardens is on our UKYA Top 100 list. 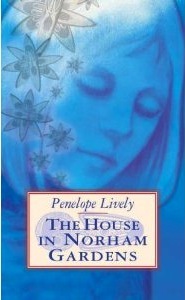 Categories: England, Fantasy, Social/Family | Tags: Penelope Lively | Permalink.